"Friends, Family, and fellow readers, I am back with another giveaway along with an amazing brand! I've been anxiously awaiting the day when I get to share my thoughts about today's product partner: Smile Brilliant!!! When it comes to my teeth, I definitely love to have a healthy, clean white teeth. But, for me I had to go through a stage of finding what is the best solution for me to help whitening my teeth, and what will help me keep them clean & etc. Well guess what, Smile Brilliant came in clutch,lol! I will share below the the Pros about everything I felt was beneficial for me and my amazing Handsome Guyde Teeth, *insert laughing emoji*. 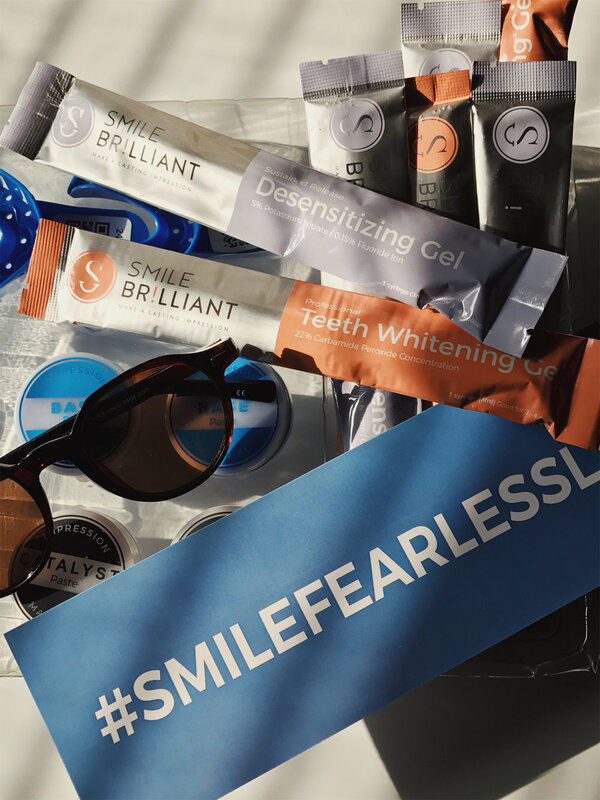 What is Smile Brilliant: An at-home, professional strength, CUSTOM teeth whitening kit. It was definitely an amazing experience using it. Did it work? YES!!! And at first it was hard & had to trust the process of getting my teeth whiter. The funny part about using the custom fitted trays, was me trying to speak at times but I finally got use to after about the second week *inserts laughing emoji* / *inserts shrugging shoulders emoji*. " Want to win the chance to whiten your own teeth at home? !! !>>>YOU CAN ENTER GIVEAWAY HERE<<<!!! Use this code: thehandsomeguyde to save 10% off of your order! P.S. Make sure you subscribe to The Handsome Guyde & stay in touch with more giveaways. Also share this with your family and friends! Photos by: Rodney Daniels Jr.